Lord Phillips, the most senior judge in England and Wales, has said that principles of sharia law could play a role in some parts of the legal system. But how does the sharia system work and fit into society? Sharia law is Islam's legal system. It is derived from both the Koran, as the word of God, the example of the life of the prophet Muhammad, and fatwas - the rulings of Islamic scholars. But Sharia differs in one very important and significant way to the legal traditions of the Western world: it governs, or at least informs, every aspect of the life of a Muslim. Western law confines itself largely to matters relating to crime, contract, civil relationships and individual rights. Sharia is however concerned with more. Sharia rulings have been developed to help Muslims understand how they should lead every aspect of their lives according to God's wishes. All sorts of things in daily life. For example, many young Muslims ask themselves what they should do if colleagues invite them to the pub after work or college. Many people would of course make up their own mind about the appropriate course of action. But others may turn to a Sharia scholar for advice. So Sharia covers a lot of very mundane and banal daily issues where observant Muslims want to ensure they act within the legal framework of their faith. So how are rulings made? Like any legal system, Sharia is complex and its practice is entirely reliant on the quality and training of experts. There are different schools of thought, which consequently lead to different rulings. Scholars spend decades studying the law and, as with Western law, an expert on one aspect of Sharia is by no means the authority on another. Islamic jurists issue guidance and rulings. Guidance that is considered a formal legal ruling is called a Fatwa. Do people go to court? Sharia courts exist in both the Muslim world and in the Western world. In parts of the Muslim world the criminal courts and their punishments are of course drawn from the rules of Sharia. 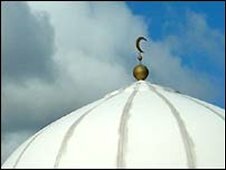 In the West, Muslim communities have established Sharia courts to largely deal with family or business disputes. The internet has become a popular way of seeking a ruling with scholars. Some of the guidance to Muslims in the west which has been considered most outlandish has come from these sources, particularly where the scholar has no knowledge of the realities of western life. Why is Sharia mentioned in the same breath as public executions? Of all the issues around Islamic law, this remains the most controversial in Western eyes - and its presentation the most infuriating for Muslims. Muslims say the Western world misrepresents Sharia by focusing on beheadings in Saudi Arabia and other gruesome punishments. The equivalent, they say, would be a debate about the history of Western law focused on America's electric chair. Some modern Muslim scholars say that while Sharia includes provisions for capital and corporal punishment, getting to that stage is in fact quite difficult. 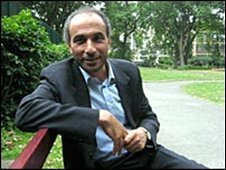 The most famous Muslim thinker in Europe, Tariq Ramadan, has called for a moratorium on these penalties in the Muslim world. He argues that the conditions under which such penalties would be legal are almost impossible to re-establish in today's world. But Muslims can be executed for converting? Apostasy, or leaving the faith, is a very controversial issue in the Muslim world and the majority of scholars believe it is punishable by death. But a minority of Muslim thinkers, particularly those engaged with Western societies, argue that the reality of the modern world means the "punishment" should be left to God - and that Islam itself is not threatened by apostasy. The Koran itself declares there is "no compulsion" in religion. Egypt's most senior cleric has faced a storm in the Middle East after floating some of these ideas but the debate may well continue for many generations to come. So what kind of Sharia are we talking about in the UK? The key issues are family law, finance and business. In practice many Muslims do turn to Sharia guidance for many of these day-to-day matters, particularly family disputes. And how does this work in practice? Muslims are increasingly looking to the example of Jewish communities which have long-established religious community courts. These "courts" are legally recognised in English law as a means for warring parties to agree to arbitration. The law sees this as a practical way of helping people to resolve their differences in their own way, without clogging up the local courts. But what about incorporating Sharia into British law? In two important areas British law has incorporated religious legal considerations. British food regulations allow meat to be slaughtered according to Jewish and Islamic practices - a touchstone issue for both communities. Secondly, the Treasury has approved Sharia-compliant financial products such as mortgages and investments. Islam forbids interest on the basis that it is money unjustly earned. These products are said by supporters to meet the needs of modern life in a way that fits the faith. Has any western nation allowed Sharia to be used in full? Not at all. Canada is widely reported to have come close - leading to protests in 2005. But in reality the proposals were little different from the existing religious arbitration rules here in the UK. Experts considered establishing Sharia-related family courts to ease the burden on civil courts - but said these would have to observe the basic human rights guarantees of Canadian law. What about Sharia and women? Some Muslim women in Britain are concerned about how their rights are protected. Take marriage for example. Muslims only consider themselves truly married once they have conducted the Islamic ceremony, known as the nikah. In some cases, this means that there is a cultural view that the British civil ceremony, which enforces legal rights under the law, is not important. Some mosques are aware of this issue and now demand to see a marriage certificate as a condition of the nikah. Others do not. Many women want Muslim leaders to do more to ensure their rights are protected under British law. Does Sharia allow men to instantly divorce wives? There is an idea that men merely have to say the Arabic for divorce three times (known as the triple talaq) and that is sufficient - and there are some men who think they have this right. In practice, not only do texts show Muhammad disagreed but today, where Sharia courts are properly run, the words are merely a symbolic part of a rigorous process. Marriage is a contract in Islam. Scholars expect three-month cooling-off periods, dialogue, arbitration and counselling. However, Talaq is a very complicated area of Sharia law with conflicting views - see internet links for one example. So women have reservations about Sharia? Some Muslim women in the West would be worried about protection of their rights in Sharia courts where there is discrimination against them because of patriarchal and cultural control in their communities. This does not mean that they are necessarily opposed to Sharia - only there are concerns about the fairness of its application. It's fair to say that many leading Muslim women are more concerned about how existing British equality measures and human rights laws can be used to improve their position and voice in society. Should UK adopt aspects of Sharia law?